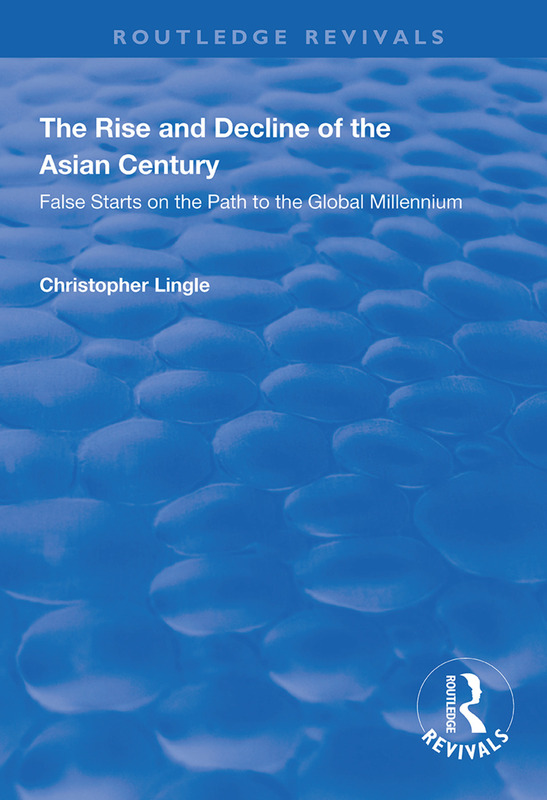 First published in 1997, this volume reflects an attempt to put order in the place of what appears to be chaos amidst East Asia’s rapid dash toward economic development. With experiences of Turkey during and after martial law, Italy during the Red Brigade, England during the ‘Winter of Discontent’, post-Franco Spain’s stumbling embrace of democracy, Poland in the beginning of the solidarity movement, South Africa in the crumbling of apartheid, China during the early student protests and Europe when the Iron Curtain was lifted, Christopher Lingle applies these ideas to modern developments in East Asia, providing an intriguing, counter-intuitive, refreshing take on its economies. 1. Introduction: Getting Lost Along the ‘Asian Way’? 2. Making Sense of the ‘Asian Century’. 3. Imaging the ‘Asian Century’. 4. Economic Realities and Asian Illusions. 5. The China Challenge: Control, Corruption, Crowding, Costs, Cold War II, and Crime. 6. Burdens of the ‘Asian Model’: Economic Costs and Political Consequences. 7. Geo-Politics and the ‘Asian Century’: Political Hazards and Strategic Uncertainty. 8. Burdens of Nature: The Environment and Sustaining Growth in East Asia. 9. The End of the ‘American Century’: Is There Decline in the West? 10. Summary: Economics and Politics in the Global Millennium.